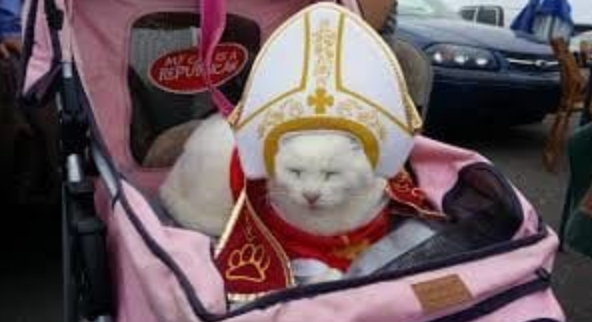 Many pets never received the memo that Halloween is supposed to be fun. They truly are spooked by all those creatures that smell like humans but resemble zombies or superheroes, even American Presidents. 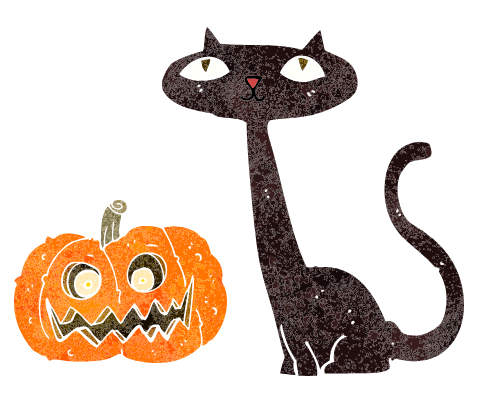 Halloween anxiety in pets may begin with the constant ringing of the doorbell and all the commotion is disturbing. For two reasons ensconcing those animals in a room behind a closed door is a really good idea. If sequestered to the basement or a bedroom, there’s no concern about the pet bolting out the front door. 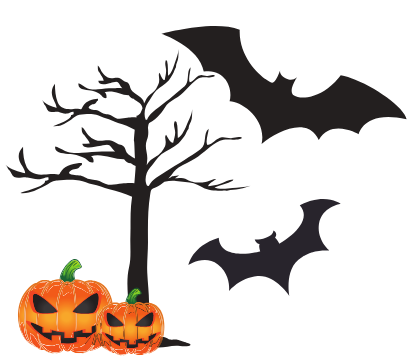 This is a real issue, as many pets are reported lost around Halloween. Also, you can better manage the fear, anxiety and stress many animals are feeling. Think about it. 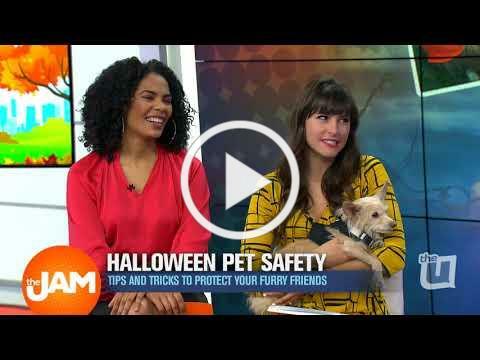 No one wants their pets to feel afraid – even on Halloween. The good news is that you can do something about it, which is what the international Fear Free initiative is all about. Meet Board Member, Steve Dale! Winn Board Member, Steve Dale is all about pets' happiness and well-being. 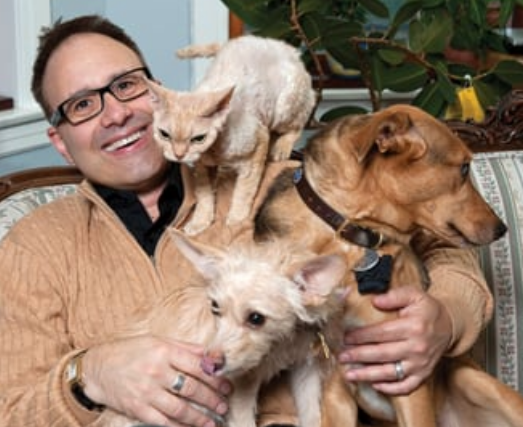 He is a certified animal behavior consultant and reaches more pet owners than any other pet journalist in America. Among his many professional accomplishments, Mr. Dale writes a twice-weekly syndicated newspaper column, serves as a contributing editor at USA Weekend, and hosts two nationally syndicated radio shows. He is also an author, a columnist for Cat Fancy, a Chicago Tribune blogger, and a contributor to Advanstar publications for veterinary professionals. ﻿After his beloved cat Ricky passed away of feline hypertrophic cardiomyopathy (HCM), Mr. Dale created a fund to raise money to research this often-fatal disease. As a direct result, a genetic test was created to determine if a gene defect for HCM exists for two breeds. The Winn Feline Foundation and all cats are certainly very blessed to have Steve as a Board Member advocating at so many different levels. Making money on the side? Millions of Americans now have more than one source of income. Side hustles in the “gig economy” such as Uber or Lyft or Airbnb have grown increasingly popular. Many employers are hiring part time employees, temporary employees, or independent contractors. 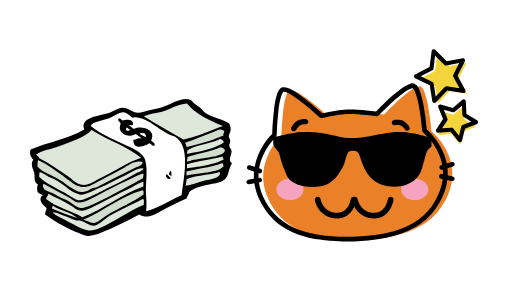 Other income sources may be as diverse as rental income, services provided for compensation, yard/garage sales, or sales on Amazon, Etsy, or Craigslist. Experts believe as many as 1/3 of taxpayers have some second source of income. Any time you earn $600 or more from a source they should provide you with a 1099 form and the IRS is sent a copy. For income sources that do not provide 1099 forms, you are responsible for keeping records and reporting the income to the IRS. In addition, you may be responsible for making quarterly tax payments on the extra income. Failure to do so could result in penalties and interest in addition to the taxes due. While the extra money may help family finances, failure to report this income may have serious tax consequences. 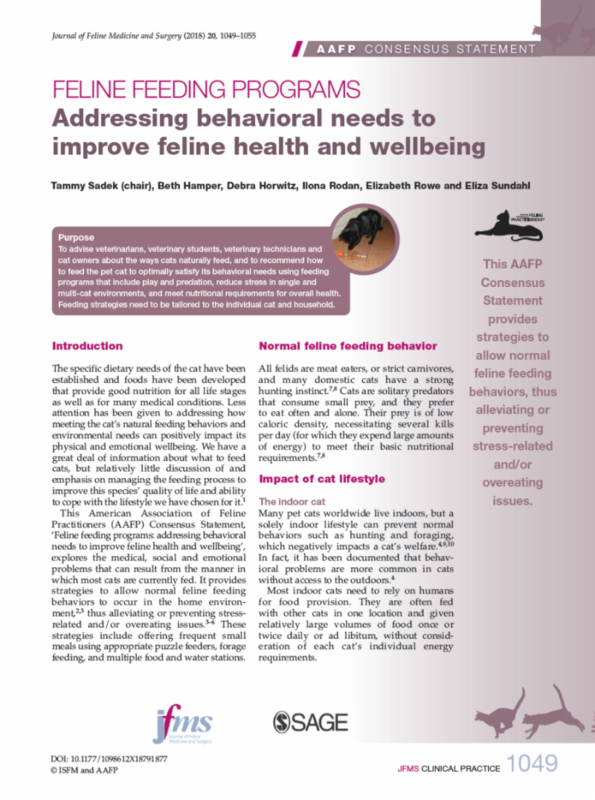 This Consensus Statement identifies normal feeding behaviors in cats. 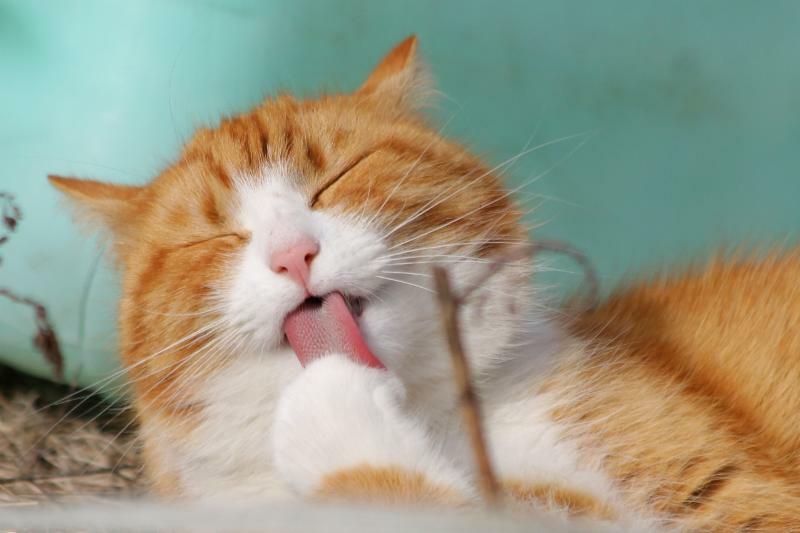 In the past, less attention has been given to addressing how meeting a cat’s natural feeding behaviors and environmental needs can positively impact their physical and emotional well-being. 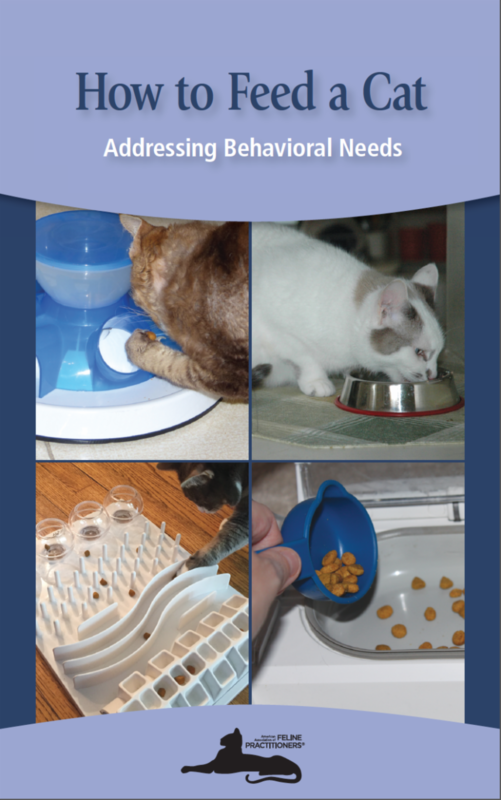 The statement provides strategies to allow normal feline feeding behaviors, and developing feeding programs that may include offering frequent small meals using appropriate puzzle feeders, forage feeding (putting food in different locations), multiple food and water stations, and in some instances, automatic feeders. Veterinary professionals and clients need to work together to develop and implement a safe, effective feeding program that optimizes each cat's physical and emotional health and well-being. Thank you so much for your support on the Cures4Cats campaign. 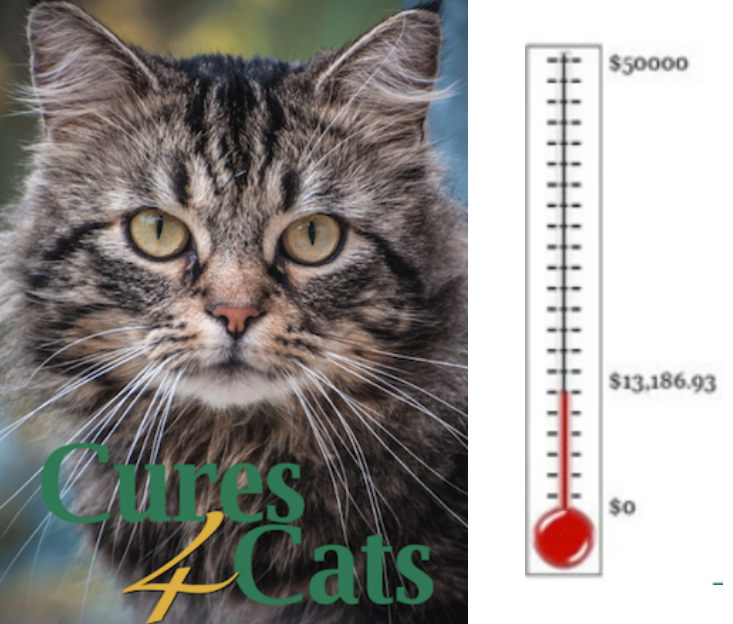 With your help we were able to raise over $13,000 for research directly relating to feline kidney disease. 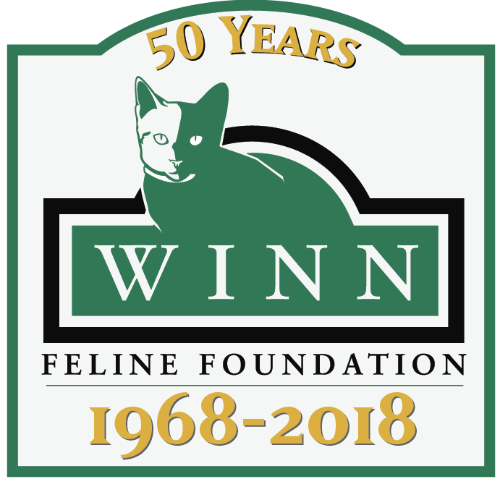 If you missed it, you can still contribute to the Winn Feline Foundation and help in our efforts in finding a cure for this disease that affects 1 in 3 cats. The purpose of this study is to determine if a new drug is able to safely and effectively treat Tritrichomonas foetus infection and diarrhea in cats that have previously failed treatment with ronidazole. Currently there are no alternatives to ronidazole for treatment of cats with T. foetus infection.